What sound do you prefer? The ideal sound conditions of a room or a hall depend on the kind of music or musical instruments. 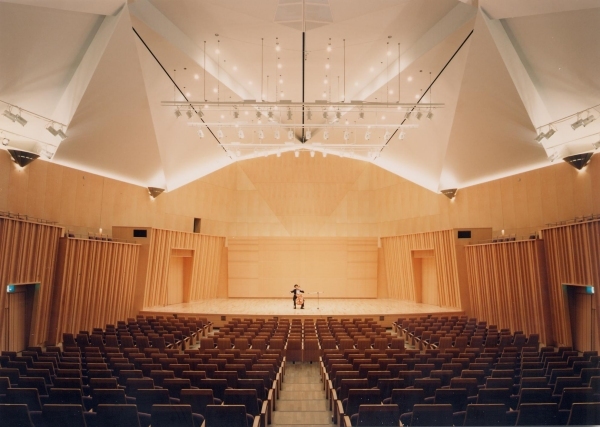 In this site, you may find what is the cue parameter of the acoustical quality in concert hall and what condition you prefer. Trial of music with different acoustical conditions (reverberation time and initial time delay gap), and preference test by simple paired comparison. Samples of anechoic music (piano, chorus, orchestral) are downloadable as a WAV format. Picture and sample data New! Copyright © 2001-2003 Yoshimasa Electronic Inc.